The vast majority of our research is done by bringing people who are interested in a similar problem together, so that research exchange participants can learn from each other’s experience as well as Kettering’s. 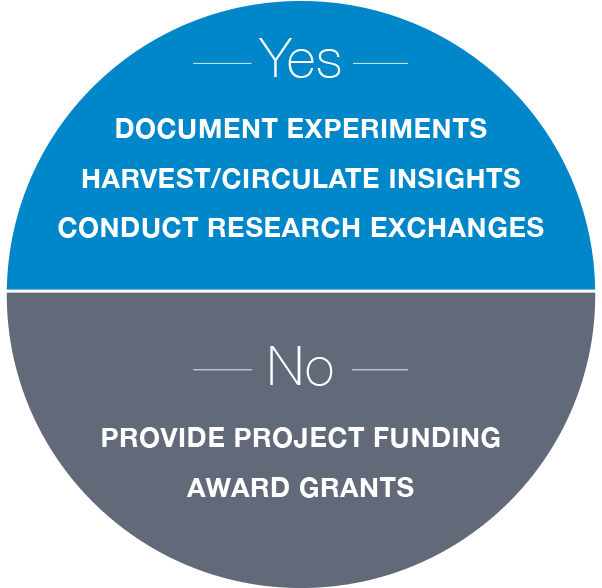 These exchanges are often ongoing, allowing participants and us to track experiments as they unfold. Obviously such exchanges have to be carefully designed, including who participates when, and so these meetings are generally by invitation only. However, some of these exchanges maintain open conversations in the online peer learning network The Commons. However, if you are engaged in working that involves a problem of democracy, we would certainly like to hear about it. Email us a short description of the work, and we will route it to the appropriate internal workgroup. Responses from program staff could take some time because our small staff is regularly working at capacity.